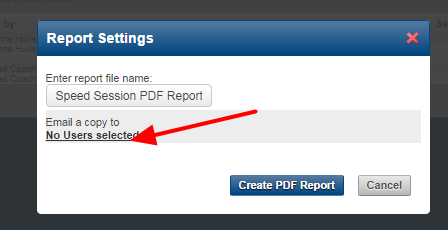 Additional security checks have been implemented for the capability to send PDF and PDF form reports from the Athlete History and Reports Pages. 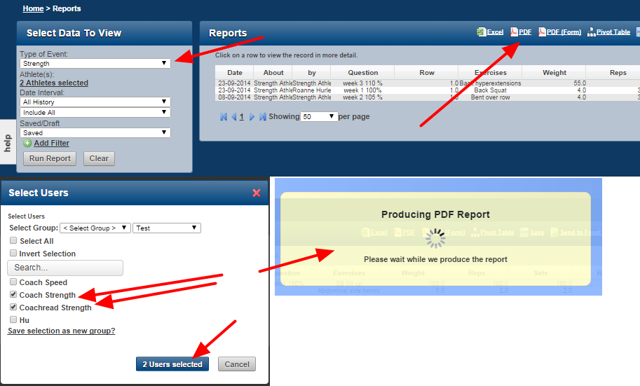 In addition to having the system permission which enables a PDF or PDF Form Report to be Emailed, users cannot send a report to anyone who does not have access to both the Event Form, and all Athletes included in the report. The following example highlight how this might affect reports being sent. A user has access to all Athletes and all Event Forms. 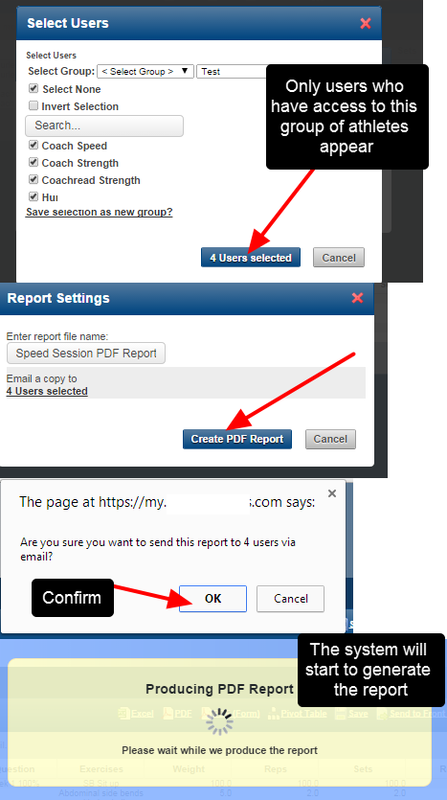 They run a Speed Session Report for All Athletes and they want to send it to another coach. Zoom: A user has access to all Athletes and all Event Forms. 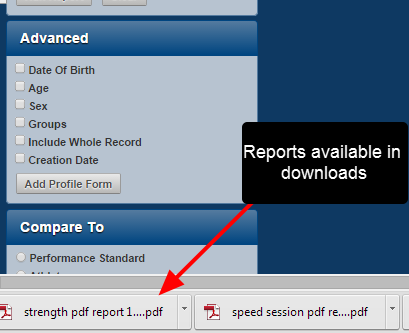 They run a Speed Session Report for All Athletes and they want to send it to another coach. However, neither of the selected Strength Coaches have read or write access to the Speed Event Form. This means they will NOT be able to receive this report. 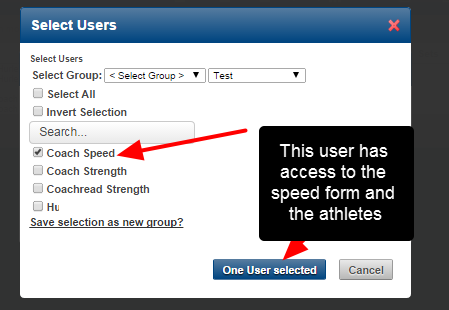 Even though both of the coaches selected have access to the athletes, neither of the strength coaches have access to the Speed Event Form; they only have access to the Strength Form. This means they should NOT receive this data. This is particularly important for data protection of medical data; e.g., if a user is creating an Injury Report and trying to send it to users who have not been given access to this Form. They cannot send the report from within the system. 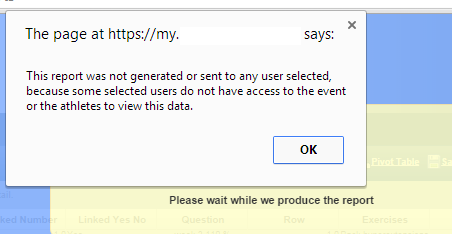 When the error shown here appears, the report has NOT be sent to ANY of the selected users; even if some of the selected users had access to both the athletes and the Event Form. Only users with access to the Speed Form and all of the selected athletes will be able to receive the data. The report will run as expected and will be sent to this user. 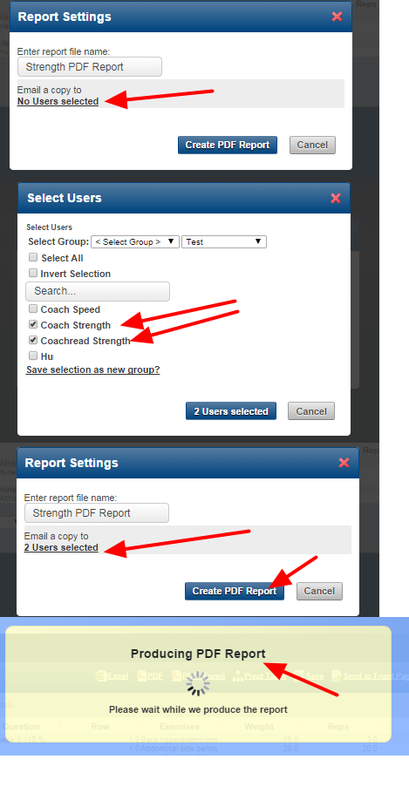 The user runs a strength report to send through to the strength coaches. Even though both of the coaches selected have access to the Strength Form, neither of the strength coaches have access to all of the athletes in the selected report; they only have access some of the athletes in the report. This means they should NOT receive this data. This is particularly important for data protection of medical data; e.g., if a user is creating an Injury Report and trying to send it to users who have not been given access to all users included in the report. They cannot send the report from within the system. These changes have been made to prevent any user from accessing data for athlete/s or Event Forms which they have not been given access to. 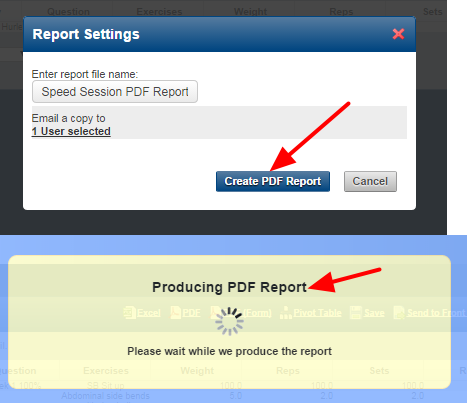 Prev: To Email a PDF report, you will now need access to a special "Reports - Send Email" permission.